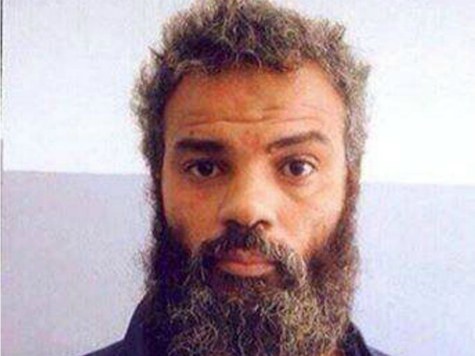 US officials announced Tuesday that a joint Special Forces and FBI operation successfully nabbed Libyan national Ahmed Abu Khattala, the man suspected as the ringleader for the 2012 attack on the American Consulate in Benghazi, Libya.” The piece I read was titled, “9/11 Benghazi Attack ‘Mastermind‘ Who Hid in Plain Sight for Years Captured By US Forces.” That’s all well and good, however, I believe a conviction in this case is about as likely as one against John McFarlane in the case of the Norwood Builder. I somehow find Khattala’s reasoning more plausible than what the mainstream media carelessly tossed into the public trough. It’s good to know, at least according to the NYT, that there were witnesses to the attack, but it’s too bad none have come forward publicly with any credible evidence. I guess we’re supposed to just take the NYT’s word that, (1) there actually were witnesses, and (2) that verifiable, although nameless and faceless, authorities actually believed Mr. Khattala was one of the ringleaders. The NYT article continued, “Although Mr. Abu Khattala’s exact role remains unclear, witnesses have said they saw him directing other fighters that night. Libyan officials have singled him out, and officials in Washington say they are examining his role.” Sounds like the NYT had this case sealed from the get go. But what was Mr. Khattala’s account? “But Mr. Abu Khattala insisted that he had not been part of the aggression at the American compound. He said he had arrived just as the gunfire was beginning to crackle and had sought to break up a traffic jam around the demonstration. After fleeing for a time, he said, he entered the compound at the end of the battle because he was asked to help try to rescue four Libyan guards working for the Americans who were trapped inside. Although the attackers had set fire to the main building, Mr. Abu Khattala said he had not noticed anything burning.” Sorry, but where’s the evidence that Khattala actually planned the attack? Maybe Fox News has something. Also in October 2012, Fox News’ Greg Palkot spoke to Khattala in an off camera interview. Here are the facts gleaned from his account. Khattala was easy to contact and did not appear to be in hiding. He admitted to being at the scene of the consulate attack, but claimed that he did not plan it. He said he went to the consulate to look after militia members who had been guarding the complex and were possibly injured. He maintained that he was no longer a member of Ansar al-Sharia, although he was previously a key member of the militia group. He said he was directing traffic outside of the consulate on the night of the attack. So far, I haven’t seen or heard anything that could be considered prima facie evidence against Mr. Khattala with regard to planning, coordinating, or for that matter even participating in the attack. But perhaps the New York Post can expound. What a providential thing that the very mastermind of the attack was found hiding in plain sight, that he welcomed interviews with the news media and from US officials, and didn’t even put up a fight while being kidnapped by US forces. Well then, that is final. Case closed. Let’s just hang him quickly and put this matter to rest, right? Not so fast. 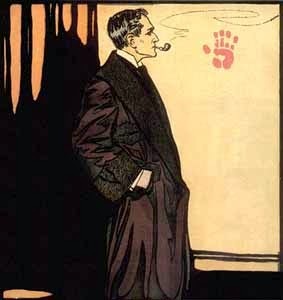 This case reminds me of one of my favorite Sherlock Holmes stories, The Norwood Builder, in which Inspector Lestrade thought he had solved a murder after the discovery of a bloody thumbprint in the middle of the wall down a dark hallway. “Step right this way, if you please, gentlemen, and I think I can convince you once for all that it was John McFarlane who did this crime,” he said. “This is where young McFarlane must have come out to get his hat after the crime was done. Now look at this.” With dramatic suddenness he struck a match, and by its light exposed a stain of blood upon the whitewashed wall. As he held the match nearer I saw that it was more than a stain. It was the well-marked print of a thumb. “I have heard something of the kind,” said Holmes. Well, as you can probably imagine, John McFarlane had nothing to do with the murder. In fact, in this case, it turned out that the victim was still alive, and had himself planted the thumbprint in the middle of the night. But even more significant, the housekeeper, who discovered the thumbprint, was an accomplice to the crime. As for Ahmed Abu Khattala having anything at all to do with the 9/11/2012 Terrorist Attack at Benghazi, who might I ask made this remarkable discovery? Was it not the mainstream media that first discovered this man, interviewed him, and then held him out as a possible suspect? And is not the same mainstream media now holding him out as the “mastermind” behind the attack? Does the mainstream media have any proof of Khattala’s guilt, beyond the questions put to him, and the answers he provided? Because, if that’s all there is, the evidence appears to lead nowhere. Is Mr. Khattala the mastermind because he was at the scene on the night of the attack, or because he’s the only one who was there that the news media could find at the time? From the videos most of us have been allowed to view, it appears there were lots of people rummaging around the Consulate that night. In fact, at one point a group of individuals found the US Ambassador within the burning building, dragged him out and carried him to the hospital. Is Mr. Khattala the mastermind because he opined that he didn’t think America should be meddling in Libyan affairs? If that’s the reason, then virtually all of Libya, not to mention most of the world, is rife with suspects. Aside from a dearth of evidence, what criminal mastermind ever gets his hands dirty at the scene of the crime, and then lounges around in plain sight, granting interviews to the news media straightway after pulling off the crime of the century? To know, I guess we’ll have to wait for this fella to receive his “fair” trial, which I remind you, will be conducted by the same justice system that found O.J. Simpson innocent, and just freed five top-level Taliban commanders after being held for 10 years without so much as a trial. The most damning statement for or against Khattala being the “mastermind” comes from his interview with CNN’s Arwa Damon in May 2013, when he responded, “I didn’t know where the place was. When I heard, we went to examine the situation. When we withdrew and there was shooting with medium guns, and there were RPGs (rocket-propelled grenades) in the air and people panicked, we tried to control traffic.” From this we learned that Mr. Khattala didn’t know where the consulate was located. And, why would he know? Who told him where the consulate was located? I would contend that the person behind the attack, or if you will the mastermind, would be someone with precise knowledge of not only where the consulate was located, but of Ambassador Stevens presence on that awful night. I have no idea whether Mr. Khattala is completely innocent, or whether he is indeed the Mastermind behind the Benghazi attack, however, based upon the heretofore presented flimsy reed of circumstantial evidence, handed down by none other than the mainstream news media, my guess would be the former. Yet upon this one point I offer my opinion. If this guy turns out to be completely innocent, I hope to God that everyone responsible for framing him is sued for everything they have, charged as accomplices to the crime, and does time in a federal penitentiary. LOL! WTF does this have to do with Tea or politics?? The truth will eventually come out. You can't touch that.